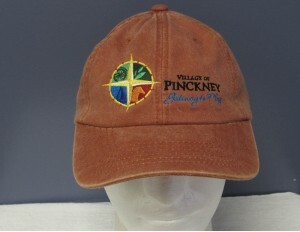 Village of Pinckney - Gateway to Play! Welcome to the Village of Pinckney Website! Pinckney is located in Putnam Township in southern Livingston County. The area was first settled in 1827 by William Kirkland who moved from New York with his family, including wife Caroline who gained fame (and a bit of notoriety) with her writings about the area. With his brother-in-law, James Stansbury, Kirkland formed the William Kirkland Company, which organized the village. Kirkland named the community after his brother, Charles Pinckney Kirkland, a New York attorney. The village was platted in 1837 and incorporated as a village in 1883. For complete results see the water page on the left navigation bar. 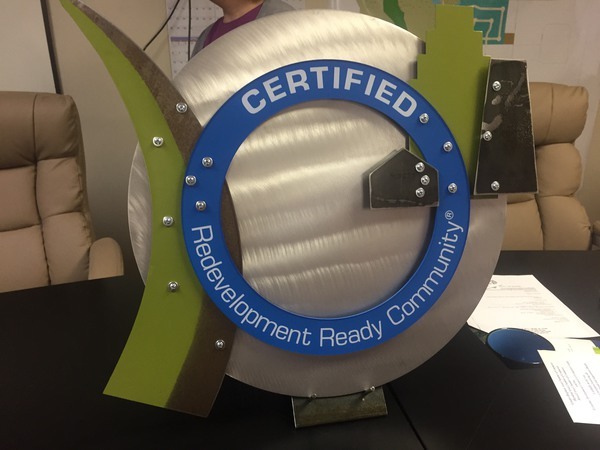 The Village of Pinckney and its officials were recognized for a willingness to change for the better that led to the municipality’s certification as a “Redevelopment Ready Community”. Representatives from the Michigan Economic Development Corporation (MEDC) attended the Village’s Board of Trustees meeting Monday to present officials with an award that acknowledged Pinckney as the 19th community in the state to become Redevelopment Ready. The MEDC program assists municipalities in establishing a foundation for redevelopment and investment to occur in their region. 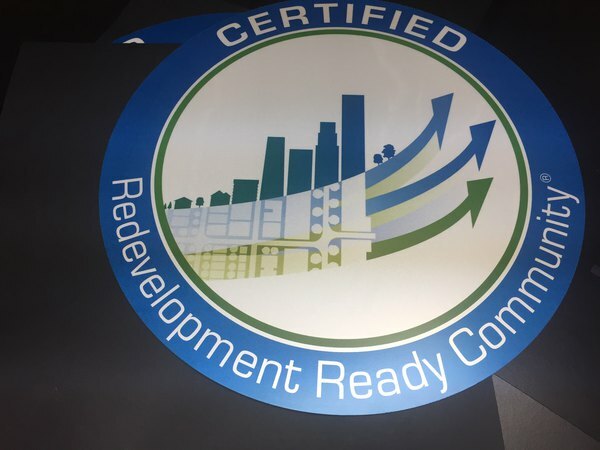 MEDC’s Senior Vice President of Community Development, Katharine Czarnecki, says RRC certification is a seal of approval that makes sure a community’s planning is in line with their future goals for business investment, talent attraction and growth. The MEDC honors the accolade by offering benefits like technical assistance or funding opportunities for said redevelopment. Czarnecki noted the overall leadership among village officials in terms of being willing to make changes to local ordinances and processes in hopes of better preparing Pinckney for economic and developmental growth. Czarnecki says the achievement is a testament that small communities too can shape their future. In addition to receiving the RRC award, which is handmade by a crafter from Lansing to promote small businesses, village officials received signs to place throughout the municipality displaying the certification. Village President Linda Lavey says though the process to become certified was long, it was educational and helped planners establish regional goals and a direction. Lavey says part of the direction that’s been established is to focus on vacant areas throughout the small village that were affected by the recession. Lavey tells WHMI there is space that is “truly redevelopment ready”, like old buildings or open land, and that officials are willing to hear ideas for transformation. In October 2017, Village Council passed an ordinance prohibiting the sale, distribution, or application of driveway and parking lot sealant products containing coal tar, identified as having greater than 0.1% Polycyclic Aromatic Hydrocarbons (PAHs). All property owners should therefore be aware of this prohibition, which can carry a fine of up to $500.00. In addition, businesses providing asphalt sealing services are now required to apply for a permit. The permit is free to file and is available here. If your company has signed a pledge for the PAH Reduction Project, please also provide a copy of that. REMINDER: THIS PERMIT IS FILED ANNUALLY AND THE VILLAGE IS CURRENTLY ACCEPTING APPLICATIONS FOR 2019. For a list of names this product goes by, review the list found at this link. NOTE: Simple Recycling is picked up on the same day as your regular recycling but it is a different truck that will pick it up. Their pick-up window of time is from 7:30 am to 5:00 pm. The village is now partnering with Simple Recycling to dramatically reduce the constant stream of materials into our nations land fills. Beginning, February 7th, you will be able to recycle clothing and housewares right along with your regular recycling. Simple Recycling will be mailing residents information on the program along with orange recycling bags. Fill the bags with items that are not fit for resale and they will grade and sort materials, locally and/or regionally, based on quality and condition. The top quality materials will be resold to local thrift outlets, mid grade is exported to international markets and “unusable” items are processed for raw materials. Additional bags can be ordered from Simple Recycling or picked up at Village Hall. There is no cost to the village or its residents to participate. For Sale- For Commercial Development! The parcel located near the corner of Main Street and Marion Street is a prime retail location. It is .31 acres in the center of downtown shopping district and is for sale by the Downtown Development Authority. The DDA is looking for interested developers to purchase and develop this space. The community has spoken and they want to see more restaurants, retail and upper-level urban living space! Click here to download a packet of information including a survey, property description, a spec building design as well as designs to upgrade Marion street and build a municipal parking lot on the adjacent parcel to the south. Click the links below to get schedules and or agendas for upcoming meetings. We all have #pinckneypride and we always want to hear what makes you proud to be a member of the Pinckney Community. Please share your thoughts with us on Facebook and Twitter and don’t forget to use the hashtag. One of the many things we are proud of is Pinckney Community Schools. The schools system has many award winning programs, devoted teachers and administrators and much more! Check out what the school district has to offer in this new brochure below. 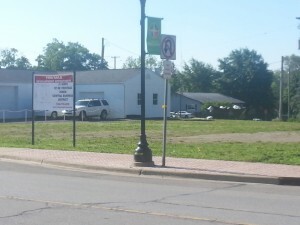 The Downtown Development Authority launched the new image for the Village in 2012. Reaction has been great! Merchandise bearing the new logo is available for sale at Village Hall. Merchandise can be purchased during regular business hours, Monday – Thursday 8 AM – 4PM. Cash or check only. Interested in supporting the downtown area and its events? Consider joining the Friends of the Village. Click on the word Friends to download the brochure with details.